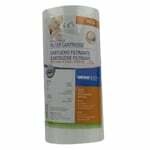 Omnifilter replacement filter cartridges are designed to fit in any standard filter housing which can be installed in your house water system. 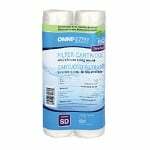 The OmniFilter RS1-DS 2 Pack Whole House Pleated Paper Filters reduces dirt and sand sediment and rust particles from your water. The OmniFilter RS1-DS can be used in Omni whole house models except for BF7 and also replaces WHCF-WHPL. 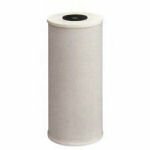 The OmniFilter T01 ( TO1 ) Whole House Carbon Wrapped Water Filter reduces dirt and sand sediment and rust particles from your water as well as reducing Chlorine. OmniFilter TO1 can be used in OB1, OB5, Omni Regular, Omni R12, Omni R14, U24 and U25. 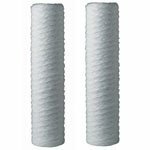 The OmniFilter RS2-DS 2 Pack Whole House String Wound Filters reduces dirt and sand sediment and rust particles from your water. The OmniFilter RS2-DS can be used in Omni whole house models, OT32 UnderSink filter system and as Whirpool WHCF-WHSW. 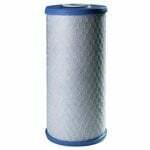 The OmniFilter RS6 Whole House Heavy Duty Pleated water filter reduces dirt and sand sediment and rust particles from your water. 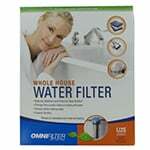 The Omni Filter RS6 can be used in Omni whole house model BF7. 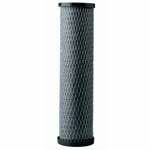 The OmniFilter T06 ( TO6 ) Whole House Heavy Duty Pleated Carbon Wrapped Water Filter reduces dirt and sand sediment and rust particles from your water as well as reducing Chlorine. The Omni Filter TO6 is used in Omni BF7 and Whirlpool WHCF-DWHBB. 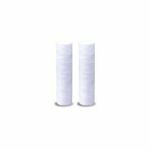 The OmniFilter RS3-DS 2 Pack Whole House String Wound Filters reduces dirt and sand sediment and rust particles from your water. The OmniFilter RS3-DS can be used in Omni whole house models, OT32 Series A UnderSink filter system. 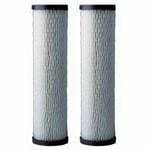 The OmniFilter CB6 Whole House Heavy Duty Carbon Block Water Filter reduces dirt and sand sediment and rust particles from your water as well as Chlorine and Cysts. 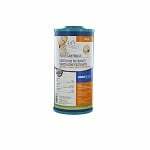 The Omnifilter R06, RO6 Whole House HD Granular KDF Filter reduces rust staining, sediment, rust particles, and chlorine taste & odor from your water. Fits in Omnifilter Heavy Duty Housings and other brands Big Blue Housings. 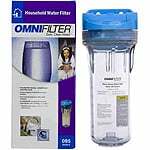 The OmniFilter RS15 is a 10" whole-house pleated water filter that delivers exceptional filtration, and eliminates harmful sediments and other particles from your tap water. 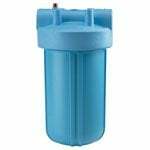 The OmniFilter U25 Whole House Water Filter System - Series E reduces dirt and sand sediment and rust particles from your water as well as reducing Chlorine. The OmniFilter OB1 Whole House Water Filter Housing is designed for versatility so you can customize your filtration needs. 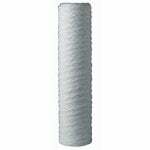 The OB1 versatile water filter housing makes it possible to use any Omnifilter whole house water filter cartridge. 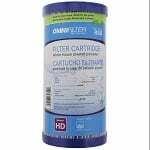 Omnifilter T08 Whole House, Heavy Duty Radial Flow Carbon Filter fits in Omnifilter Heavy Duty Housings such as the BF7 and other brands large Housings. 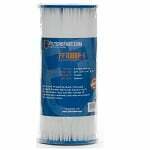 Reduces sediment and chlorine taste & odor from your water. Special Order. Ships in 8 days. The OmniFilter OB5 Clear Whole House Water Filter Housing is designed for versatility so you can customize your filtration needs. 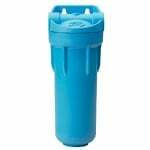 The OB5 versatile water filter housing makes it possible to use any Omnifilter whole house water filter cartridge. Special Order. Ships in 24 days. Special Order. Ships in 13 days.